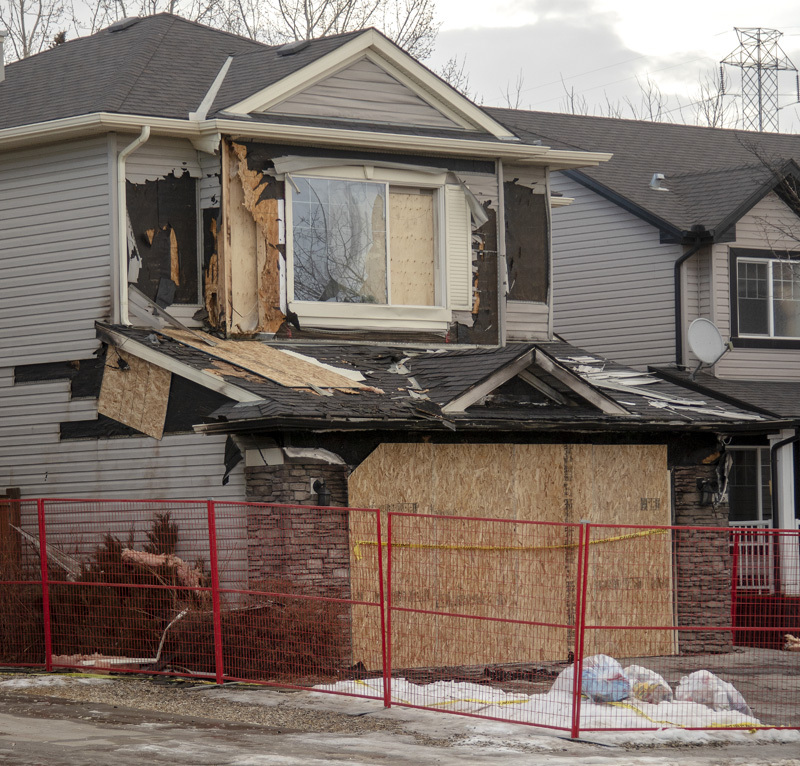 Chestermere Fire Services (CFS) responded to garage fire on Hawkmere Road in the early morning of Dec. 28. “At about 12:45 a.m. a 911 call came in for a possible structure fire,” said CFS Chief Brian Pomrenke. When crews arrived on scene they were met with heavy smoke and flames coming from the attached garage of a home. All occupants of the house had safely self-evacuated by the time firefighters arrived. Fire crews quickly knocked down the fire, however Pomrenke said that they spent a lot of time working to put out hot spots. Pomrenke said that they are continuing to investigate the cause of the fire. “One person that I know was for sure awake when the fire happened, their words were that they heard a pop and they just went downstairs to see what it was, opened up the door to the garage to find that there was smoke and flame and sparks coming right back at him. “So he shut the door and got everybody out,” said Pomrenke. While none of the residents were hurt, one firefighter suffered a minor strain to his shoulder while fighting the fire. “It wasn’t from anything falling or anything like that it was just a strain,” said Pomrenke. Unlike the residents who were unharmed, the garage suffered significant damage in the fire. He said that there was both smoke and some water damage. Additionally, two cars parked on the driveway sustained significant front-end heat damage from the fire. Pomrenke credits the early detection of the fire allowing for the quick response by CFS in limiting most of the damage to the garage. “It’s that early detection that really plays a key role in us getting to the fire in time with resources that we need to get the fire out,” he said. Although this fire was first detected by a resident, all of the smoke detectors in the home were alarming by the time firefighters arrived. “Smoke detectors went off, they were working in the home that’s great news for us as fire departments we like to know they’re all working,” said Pomrenke. As part of that early detection that can save lives and property, Pomrenke recommends that residents install battery powered smoke detectors in garages, especially attached ones. “They can provide even earlier detection in similar situations to this fire,” he said.